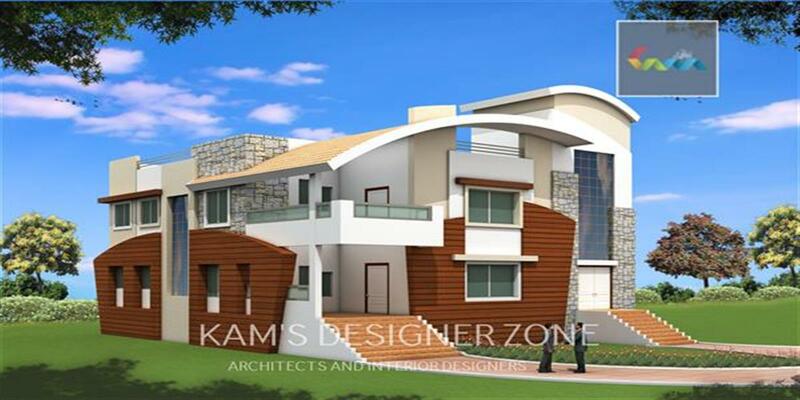 Interior Designer in Hinjewadi, Pune has built the bungalow of Mr. Kiran Sakhare in the Hinjewadi area at pune. This Bungalow in Hinjewadi for two brothers has been designed keeping in mind the provision to divide the bungalow easily into two. The bungalow has been provided with two main entrances for future aspects. Only a brickwork covering the staircase would divide the two bungalows with similar planning on both the floors.This bungalow make natural by surrounding well decorated..